Treatment: Large ones should not be captured by hand; their sharp teeth and setae can puncture the skin. You can set a trap with a piece of shrimp or food as bait, or remove them from the rocks with tweezers. Identification: Bristleworms range in size from 1"-20" in length and are orange, gray, or brown. The worms are composed of many segments and have bristles (setae) which extend from both sides of its body along its entire length. They live in the sand or within live rock and are nocturnal. 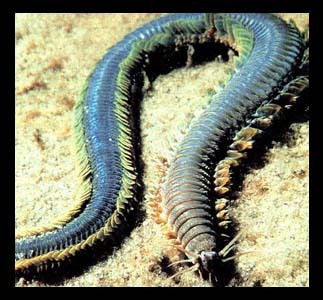 Prevention: These worms come in on rocks, and are generally scavengers. 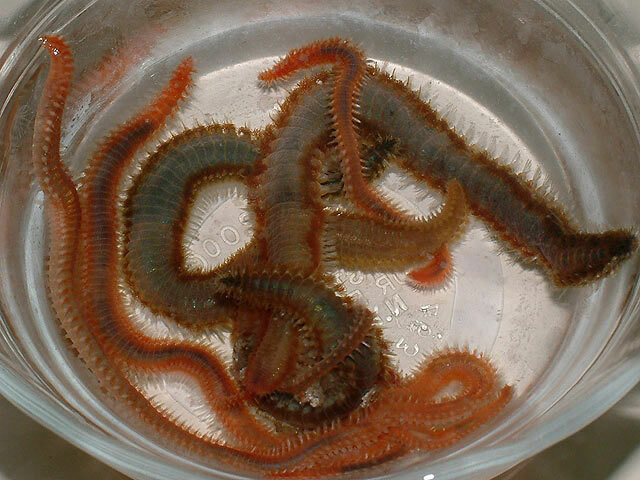 Some have been known to attack clams, anemones, corals, and even fish - if the worm is aggressive or becomes too large, removal is the best optoin.